Making an overseas move is not quite the same thing as moving across town or even from one side of the country to the other. International moves from RI, CT and MA can feel overwhelming, especially if you have never even seen the place where you are moving to, but with the help of professional relocation services in South Mass through Conlon Moving & Storage, it can be done. As an agent of United Van Lines, we work in conjunction with UniGroup Logistics so we can offer our clients access to domestic and global shipping and logistics. We can help businesses and individuals plan an international move, taking care of everything from overseas transit protection to assisting with legal requirements and regulations at your destination. We offer a wide range of moving logistics that can help you to connect with other professional shipping and moving resources in over 180 countries all around the world. We are both a moving and mobile storage company in MA with generations of experience providing these top quality services. Our wide reach enables us to utilize all of the technology and connections afforded by our relationship with United and UniGroup, which helps us to meet time tables and still reduce costs compared to our competitors, in order to meet all of the needs of our customers. Give us a call and find out why so many clients throughout the New England region trust Conlon Moving & Storage with their moving, storage and logistics needs. One of the biggest parts of planning your international moves from RI, CT and MA is arranging the transportation of your furniture and personal items. Conlon Moving & Storage can assist with domestic and international moves, providing top quality residential and commercial business moving services and professional relocation services in South Mass – and beyond. We work with a network of global resources that we use to coordinate your overseas move as if you were working with one single group of movers. This helps to ensure that you have a quality moving experience, that all of your needs are met accurately and according to the services you were promised and that the entire effort is a success. Another aspect of coordinating an international move is providing warehousing or storage services. When you move overseas, you might not want to bring all of your good with you due to limited space or cost for moving big and bulk items. There may even be restrictions against bringing some things with you and other items, such as appliances, that would not even work in other countries even if you were to bring them. Conlon is also a warehouse and mobile storage company in MA. We can store your goods ahead of your move so they are ready to go on moving day in case you relocate before your belongings do, but we can also store things here on-site until you return to the United States and need them again. If you are making a commercial move, you can count on our professional relocation services in South Mass to make sure that everything goes off without a hitch. Our logistics team will work with you to ensure that every step of your moving process is coordinated seamlessly to minimize downtime and help you to hit the ground running at your destination. We have helped many different types of businesses to move internationally, including factories, industrial facilities, distribution centers, retail stores and large offices. We are prepared to use all of our heavy and high tech equipment and inventory systems to help you make what could be a complicated move, a simple one. Large, specialty and high-value equipment can also be moved overseas through our services for international moves from RI, CT and MA. If you are planning to make a move overseas with your business or as a personal move, contact the professional relocation services in South Mass at Conlon Moving & Storage. We can help with everything from overseas transit protection to basic business relocation logistics and everything in between. Give us a call at 508-336-7766 to get a FREE custom estimate on your international moves from RI, CT and MA or to learn more about our mobile storage company in MA. 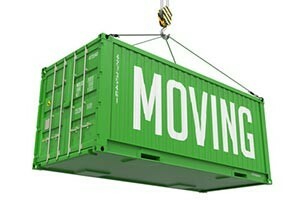 We can help with local, interstate, national and international moves for residential, commercial and industrial clients. ← Will Your Company Benefit from Commercial Storage in Seekonk?